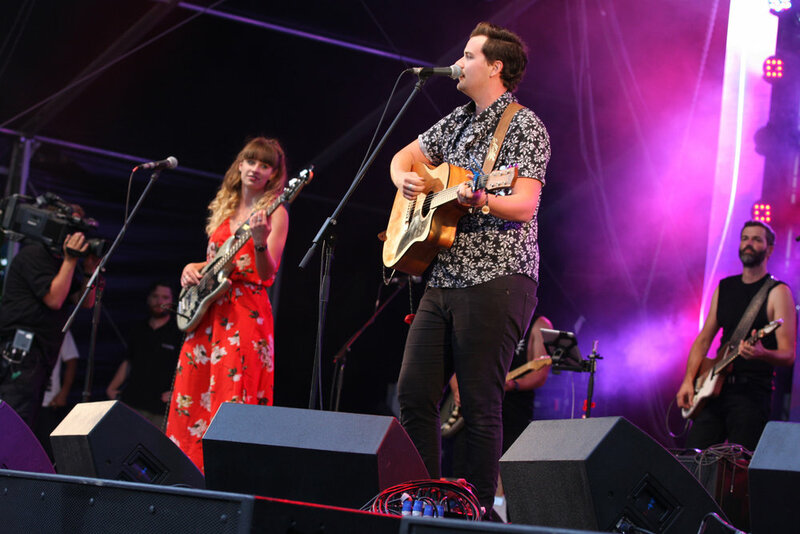 Alex & Bec Crook are a Brisbane Brother Sister duo, with folk pop country influences. Alex Crook, started playing and creating music when he was seventeen and since has written a long list of original songs. The brother and sister came together a couple of years ago and together created their most recent EP, 21 Nights with Paul Pilsneniks (Angus & Julia Stone, Powderfinger, and The Tea Party3257j), and their single 'Suitcase' hitting the ground running and featuring on many country radio stations around Australia. With a resume that already includes Finalist in the QMusic Awards for Country, and appearances at Caloundra Music Festival, Gympie Muster, Tamworth Country Music Festival, Red Deer Music Festival, Broadbeach Country Music Festival, and Little BIGSOUND the Crooks’ amazing journey looks set to continue.